European Union data protection rules should be based on hard data and analysis, rather than the emotions stirred up by politicians, Slovakia’s deputy prime minister said in an interview with EURACTIV Slovakia. 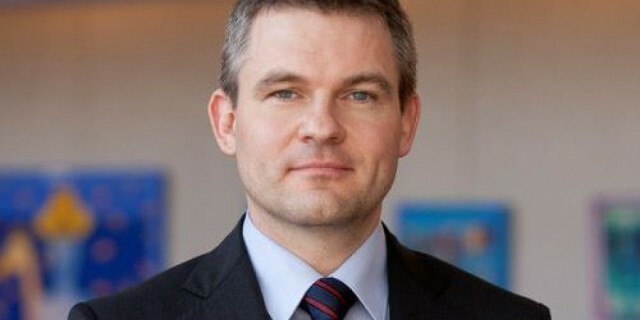 Peter Pellegrini is Slovakia’s Deputy Prime Minister for Investments and Information Technology. During the country’s EU Council Presidency, he is in charge of the cohesion agenda and the Digital Single Market. He spoke to Zuzana Gabrizova from EURACTIV Slovakia. There are many proposals on the table related to the EU’s digital agenda, which is under your responsibility. What would the Slovak Presidency consider a success by its end inDecember? In this area, the Slovak Presidency is more focused on the technical work and the successes will be coming through during the Maltese Presidency. But this cannot lower our ambition. Different proposals have been put forward at different levels. In case of the geo-blocking, we would like to at least agree on the general approach. We would also like to start the trialogue on the definitive removal of roaming charges in order to meet the July 2017 deadline. The EU eGovernment Action Plan could make its way into the Council conclusions. Considering this, a Bratislava declaration on eGovernment defining clear goals for the EU member states would be considered our most significant achievement. The aim is to gradually converge towards the ‘one time, last time’ principle and towards making the public services of one country available to the citizens of another by 2020. Where will agreement be toughest to achieve? The agreement on the ability to use pre-paid data services abroad was concluded rather quickly. Regarding geo-blocking, there is a broad understanding that there is no place for discriminating against someone based on the payment method or the simple fact they live somewhere where the vendor refuses to sell. Finding a compromise between removing discrimination and preserving the rights of suppliers, who are either not technically able or cannot arrange delivering abroad, will take a long time. The free flow of data is another huge issue. In this case, there is no specific proposal, but this is the future. We see this as one of the freedoms. Thanks to the development of modern technology, states, institutions and organisations will have an enormous amount of data. The age of the Internet of Things (IoT) is dawning. Connected vehicles, smarts meters and various other sensors will all transmit data. On the one hand, this could span new applications and create new jobs. On the other hand, we need to talk about protecting personal data. Nowadays they are being protected at the national level. The question is to what extent the national authorities are willing to transfer some of their competences to the European level. We do have a broad agreement on roaming charges. Now, the important thing is to monitor wholesale prices between operators, so that they can appropriately safeguard the operation of the service infrastructure and, once the roaming surcharges are over, not increase their prices. If the EU wants to be competitive on the global scale, it has to take decisions quickly, not only react after the fact. How can we regulate such a dynamic domain without hindering innovation? The European Union has to find a certain framework. It should evaluate data and specific consumer behaviour and only intervene if we identify a problem. We can no longer look at regulation with this presumption of guilt, as if something bad was coming and we were impeding development. There has to be a flexible way to respond to any deficiencies that arise in the market or if consumer protection and health of citizens are compromised. Europe has to learn to manage society based on hard data and analysis, not based on emotions stimulated by politicians. For all the things that are currently being dealt with, having a proper infrastructure is fundamental. The deployment of high-speed broadband networks requires investment. Where should this investment come from? Without state-of-the-art digital infrastructure Europe has no chance of succeeding in a competitive global market. Many countries have already announced when they will start building 5G networks. The EU also needs to harmonise the 700 MHz spectrum. We have it on the table. I hope we will be able to come up with an agreement with the European Parliament on whether it is going to be freed up in 2020 or in 2022. Of course, it is relatively late. The way member states auction their frequencies has to stimulate the frequency owners to build infrastructure. Frequencies are the new gold for both the state and the operators. Governments could demand the highest price and generate more money for the state budget. But on the other hand, this would drain so much money from private sector that it would not be able to build the infrastructure in a short period of time. As states, we must agree that we prefer investment and rapid construction, even at the cost of lower state revenues. With 4G, we have focused on coverage based on the density of the population. At the onset of the IoT, in the case of autonomous cars, our concern must be the percentage of covered area. If a car is to drive from one city to another, it requires countrywide coverage. Even in Slovakia, there is a struggle between telecommunication companies and the state. They don’t really like state or municipal investments, they claim they create competition. If this is the case, then the private sector should guarantee coverage of “X” percentage of an area by the year “Y”. If not, then the state must intervene because there are areas that will never be commercially attractive. Cohesion policy is not one of the priorities during the Slovak Presidency, but it is an important topic. What can we do in this field? I don’t want the debate on the Cohesion Policy to slip into a polemic between net payers and net beneficiaries. We are all members, we all make budget contributions. It was the Union itself that decided to show solidarity with the less-developed regions. Slovakia could become a net payer, but this does not mean changing our attitude. There is no need to discuss whether the Cohesion Policy is an added value for Europe, the results are self-explanatory. We need to discuss its future beyond 2020 and its current situation. And what is the current situation? We have a complicated bureaucratic system including an unpredictable multilevel system of controls focused on processes and papers, not on results. It needs simplifying. This simplification should be applied during this programming period without radically altering the entire system. That includes expense reporting or controlling on outcomes rather than the process itself, especially if we trust the beneficiaries. These are often municipalities. We are expecting a lot from the high level group of the European Commission. We also have some practical remarks issued by the Committee of the Regions. I believe that under the Slovak Presidency we will be able settle on clear conclusions. These could serve as the basis for the Cohesion Policy after 2020. Should the extent of the programming be considered, too, as suggested by the Committee of Regions? For example, if the goal is increasing employment, should recipients of funds be given a free hand in deciding how to respond to local circumstances? Flexibility is certainly legitimate, yes, because every region is unique. I also think we should not have strictly enforced instruments to achieve the various priorities and we should trust the locals. There is no need to steer everything from the top, we need a balance. What is your view of the debate over whether the new financial instrument, the so-called Juncker Plan comes at the expense of traditional structural and investment funds? The development of infrastructure of national significance has an added value for all Europeans. We need to keep the balance between the interests of the state and of the local governments. Nobody is right by definition.